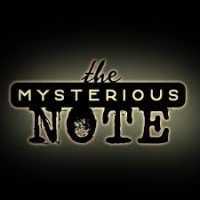 The Mysterious Note - A special early screening! A reluctant family accompanies their businessman father to a small town. His mission is to repossess a hardware store that is run using a Biblical model of stewardship. When his son meets a couple of local kids, together they discover a mysterious note that might change everything if they can unravel the mystery in time!The Mysterious Note is a feature film produced by the North-American Division Stewardship Department and One Mustard Seed. Written and directed by Rich Aguilera, "The Mud Guy," the film looks to teach parents and kids what it means to be a good steward of the things God has entrusted them with. A $10 donation is recommended but a donation of any amount will be appreciated and put to good use by the Golden Eagle Pathfinder Club. Popcorn is free! Food and ice cold drinks will be sold at concessions. Bring your favorite chair, beanbag, inflatable whatever or use one of our fine metal folding chairs. This is a pre-release early screening by special permission only!!! The movie is not being released publicly until February 22, 2019! All proceeds will go to the Golden Eagle Pathfinders Club to help fund an upcoming trip to the 2019 International Camporee in Oshkosh, WI.